Located at 401 South Talbot, on the corner of Talbot and Mulberry streets in the heart of St. Michaels. The Old Brick Inn complex includes three separate buildings: the Wrightson Jones House and the Kemp House with old world ambience and modern amenities; and a unique building known as the Carriage House featuring large rooms and oversized windows and high ceilings. Every room has a private bath, many with Jacuzzi tubs or double showers. 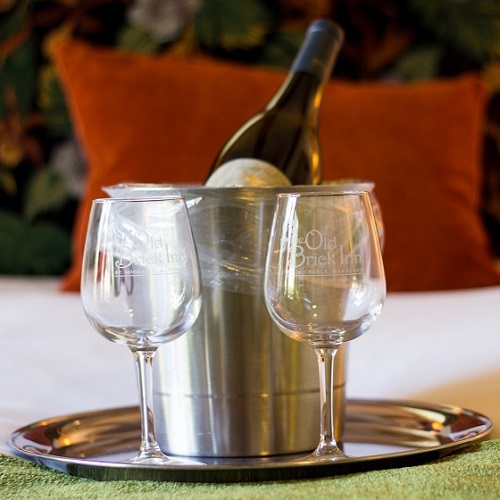 All of our elegant and beautifully appointed rooms feature a variety of amenities, including flat screen televisions, hair dryers, large fluffy towels and bathrobes, wine glasses an ice bucket and complementary wireless internet. 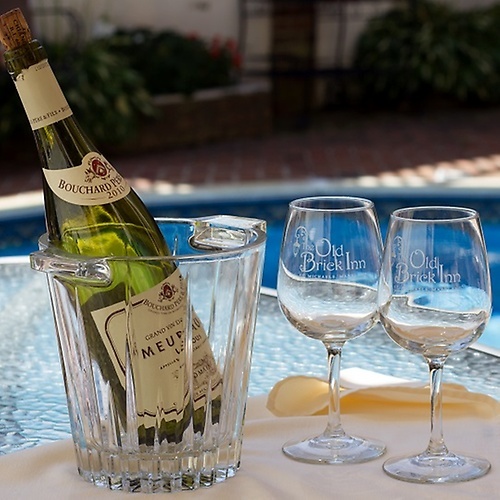 A New Orleans-style patio is the perfect place to relax with a bottle of wine from our great wine cellar..
Take advantage of our free concierge service to help organize massage sessions, dinner and boating reservations, biking tours, walking tours around town, etc. 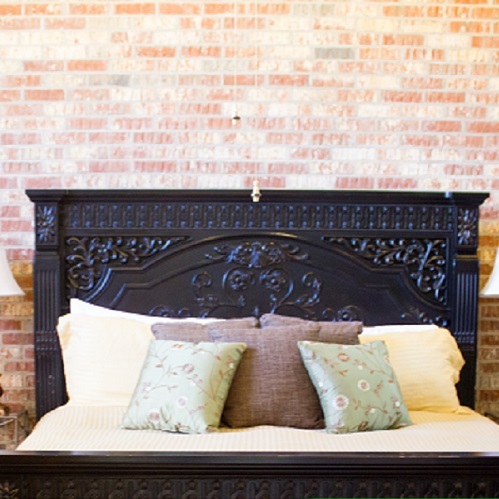 We want to make your stay at the Old Brick Inn as enjoyable, relaxing and pampered as possible! Call or check our website for many special packages offered throughout the year! 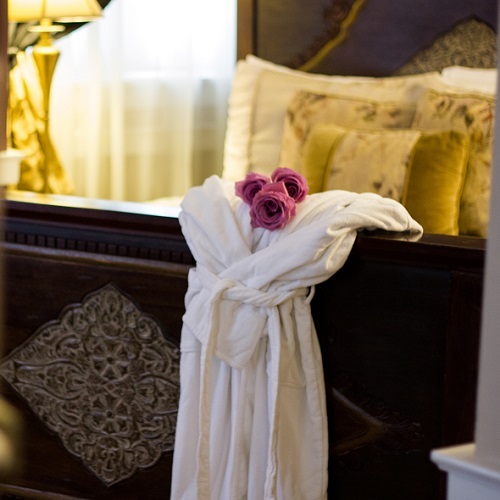 We look forward to making your stay a special memory!